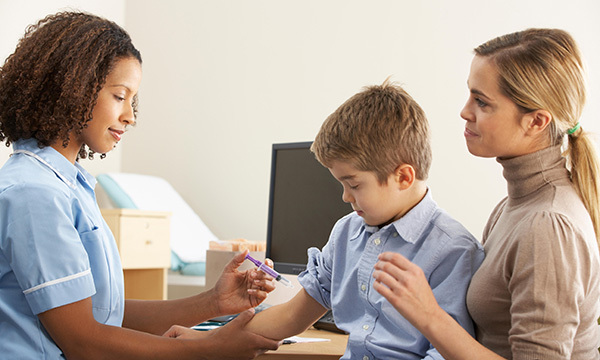 General practice nurses (GPNs) will be able to access tips on managing appointment times at childhood immunisation clinics to reduce the risk of errors. The upcoming guidance recommends nurses allot a minimum of 20 minutes per patient to ensure all necessary records and documentation can be reviewed before administering immunisations. According to the National Patient Safety Agency, immunisation-related errors account for the greatest number of serious adverse events in general practice. Insufficient time to interview families, especially those with limited language skills, as well as having unclear or incomplete records can result in the wrong child being immunised. The pocket-sized booklet and downloadable poster will be published next month (October) by RCN’s General Practice Nursing Forum. A recent nationwide survey of forum members suggested some clinics allow as little as 10 minutes to vaccinate children. Considering running clinics with support from registered or non-registered colleagues to help manage siblings who may be in attendance at the clinic but do not need immunisations. Ensuring an up-to-date immunisation schedule is always to hand. Obtaining consent from the child’s legal guardian. Chair of the forum Marie Therese Massey said: ‘The safe administration of vaccinations and immunisations has been a common theme on our Facebook page, demonstrating the need for easily accessible and concise information being readily to hand for GPNs.